I met this lovely couple at the starting point which was a little away from their hotel, when the couple arrived they met me with inexpressible warmth and enthusiasm, we talked for a while before I gave them instructions and all the necessary things to remember during the cycle trip, then we carried on with the bike selection and once all set we commenced our tour in the lovely surroundings of the city of Udaipur. Our cycling tour went through several villages where we saw beautiful agriculture fields and people doing farming, lot of things were going in the village which greatly fascinated this blissed out couple to take as many pictures as they can, on the half way mark we reached one of the isolated lake where we took a break, the lake awestruck this young couple and we spent a lot of time beholding this glorious lake. Later we continued our trip through a very beautiful terrain and finished the cycling at their hotel. 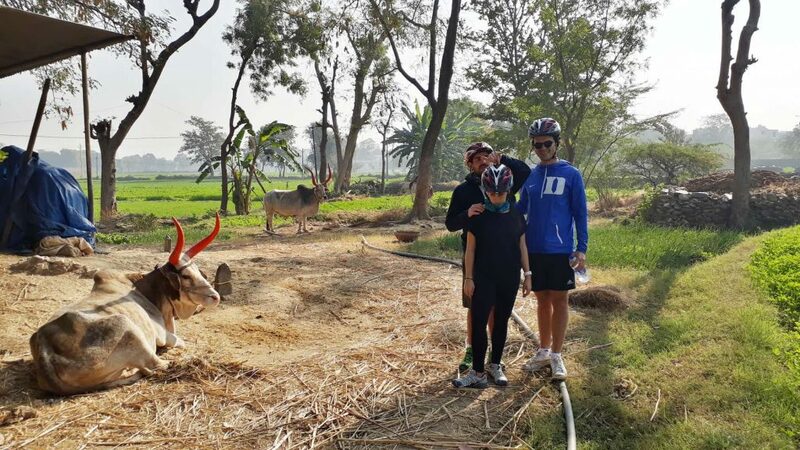 Our cycling trip was a beautiful mixture of adventure, culture, nature and a lot of exchange of knowledge which indeed made the whole experience utterly blissful.